From one of the truest eccentric living artists out there, down below is Fiona Apple's latest music video to her song titled Hot Knife, the closing #10 track from her most recent album titled "The Idler Wheel Is Wiser Than the Driver of the Screw and Whipping Cords Will Serve You More Than Ropes Will Ever Do". The director is a former Apple flame, Paul David Anderson, who directed other Fiona Apple music videos including "Across the Universe" in 1998, "Fast as You Can" in 1999, as well as the "Limp" and "Paper Bag" music videos in 2000. 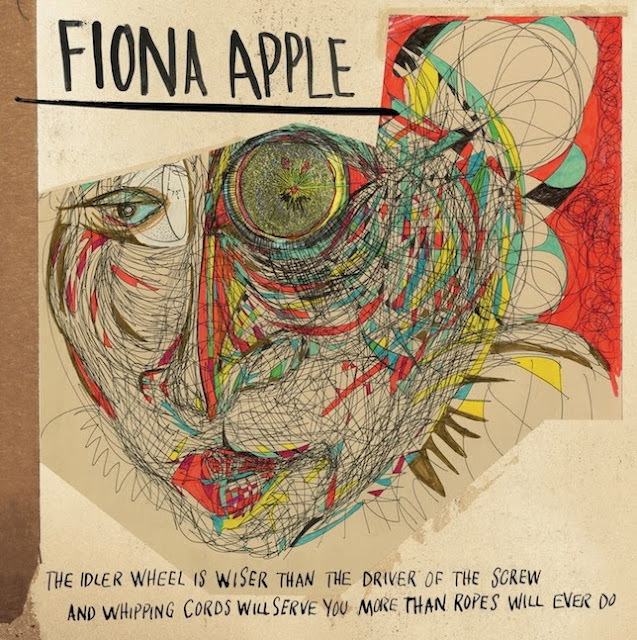 True to her authentic form, looking very healthy and in the moment with zeal for her craft, Fiona Apple's beauty shines with her minimalist music arrangement that uses only a drum and sparse piano as she layers her own voice into thick harmonies and a jungle of sound that is all her. Another tasty work of substance by Apple and Anderson destined for classic status amongst us cult followers.